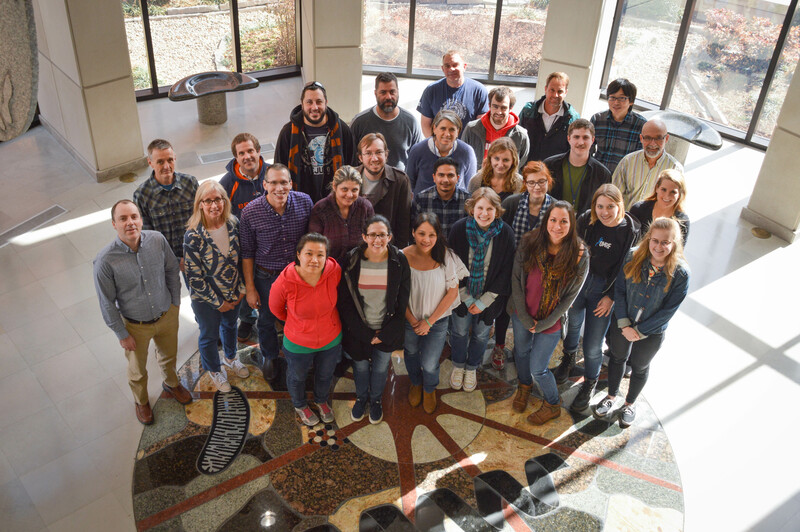 The Rankin lab is part of the Program in Cell Cycle and Cancer Biology at the Oklahoma Medical Research Foundation. The department is comprised of five interactive labs, all interested in cell division and the replication and proper segregation of chromosomes. Several model systems, including budding yeast, zebrafish, frog eggs, mice, and cultured cells, are used to study fundamental mechanisms underlying chromosome dynamics. The department is located in the Bell Building on the OMRF campus. We get together every week to discuss our work: students, post-docs, technicians, and faculty all participate.